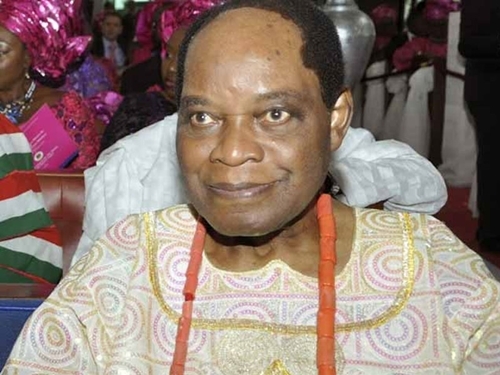 Billionaire industrialist and publisher of the defunct Post Express Newspapers, Chief Sunny Odogwu, has passed on at 87. Top Nigerian businessman, Sunny Odogwu, is dead, after passing away in his home on Monday, according to a family source. Born on March 20, 1931, in Calabar, the Cross River State capital, Odogwu hailed from Delta State and held a high ranking traditional title of Ide Ahaba of Asaba, the state capital. Odogwu established the Sunny Iwedike Odogwu (SIO) Group of Companies, a firm with investments in property development, shipping, finance, industrial relations and hotel management. In 1952, he branched out on his own to establish Robert Dyson and Diket, an insurance brokerage firm. In addition, he established trading store as a side business in Lagos Island. Between 1954 and 1958, Odogwu travelled abroad for further studies. Upon his return to Nigeria in 1958, he took up a position of assistant director with C.T. Browing. He stayed with C.T. Browing for a year then left to establish in his insurance brokerage outfit called African Insurance Underwriters. In 1965, he added life insurance business to his portfolio, establishing African Prudential Insurance. Odogwu grew his insurance business and started diversifying into other industrial sectors in 1972. By 1984, he had branched out into other industries under Sunny Iwedike Odogwu (SIO) group. In 2012, Robert Dyson and Diket, Ltd, a firm largely owned by Odogwu signed a financing agreement with a group of creditors including Diamond Bank to finance the construction of Le Meridien Grand Towers Hotel in Lagos. While reacting to Chief Odogwu's death, Delta State Governor, Senator Ifeanyi Okowa, and former governors of the state, Chief James Ibori and Dr. Emmanuel Uduaghan, described it as a monumental loss to the Anioma people, the state and Nigeria. Okowa in a statement by his Chief Press Secretary, Mr. Charles Aniagwu, commiserated with the family of Odogwu, the Asagba of Asaba, Prof. Chike Edozien, and the Asaba people on the death of one of their most illustrious sons. Also, Ibori in a statement by his Media Assistant, Mr. Tony Eluemunor, said though he was a much younger man than Odogwu, he related closely with him as a friend and governor of Delta State from 1999 to 2007. Ibori said: “He was my adviser-in-chief during my campaigns in 1999. Odogwu, who was at the time already a house hold name in Nigeria and one of the richest Nigerians alive, was humble enough to strike real friendship with me. I benefitted greatly from his advice. His desire was a fast-track development of Delta State, which was just a few years old when I became governor. Uduaghan said: ”I received with a heavy heart the news of the passage of a renowned businessman, philanthropist and industrialist, Odogwu. Speaking through his media aide, Mr. Monoyo Edon, the former governor noted: ”In spite of his global connections, he returned home and was made a prominent traditional chief in Asaba (Ide Ahaba of Asaba).